UPDATE (12.01, 6/9/13): This competition is now closed. 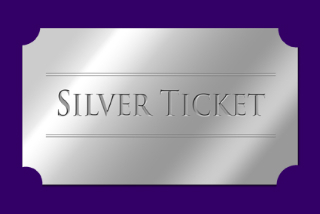 Look out for more Silver Giveaway tickets soon! Thanks to the folks at Shakespeare's Globe, we’ve got two tickets to give away to the 14:00 matinee performance at the Globe Theatre, London on Saturday 21 September. He’s the anonymous Twitter sensation whose hilarious and unfailingly accurate barbs satirising and celebrating the theatre industry have won him over 35,000 followers. And now West End Producer (WEP) has written a book, Everything You Always Wanted To Know About Acting (But Were Afraid To Ask, Dear), to be published by Nick Hern Books on 21st November 2013. Also included are many of WEP’s most memorable tweets, miniature comic salvos despatched with all the shrewdness of a man who truly knows his Barrowmans from his Balls. Fleabag, an electrifying, disarmingly honest monologue by Phoebe Waller-Bridge, and the tender but heart-wrenching two-hander Halcyon Days by Deirdre Kinahan, have both been awarded Fringe Firsts at the 2013 Edinburgh Festival Fringe. A hilariously rude but incisive look at responsibility and sexuality in today’s young people, Fleabag is the debut play by Phoebe Waller-Bridge, actress, writer and Co-Artistic Director of new writing company DryWrite. It has received widespread critical acclaim, with Whatsonstage.com calling it ‘a sharp-edged gem of a solo show’, and Matt Trueman in the Scotsman declaring ‘I’ve never seen a play quite like it.’ Fleabag runs at Underbelly Cowgate until 25 August, before transferring to the Soho Theatre Upstairs in London’s West End in September. Waller-Bridge, who as well as being the author also performs the piece, was recently seen on the London stage in DryWrite's production of Jack Thorne's unflinching domestic drama Mydidae. Deirdre Kinahan’s Halcyon Days is a poignant drama set in a nursing home in Ireland, where a recently admitted teacher, struggling to adapt to her new surroundings, strikes up a friendship with a retired actor. Produced by Landmark Productions – also the producers of a highly successful revival of Mark O’Rowe’s Howie the Rookie at this year’s Fringe – the play (marketed as These Halcyon Days at the Edinburgh Fringe), which was first staged at the Dublin Theatre Festival 2012, has been warmly received, with The Times describing it as ‘beautifully judged’, and Three Weeks praising it for being ‘heart-warming and tear-jerking in equal measure’. The scripts to both Fleabag and These Halcyon Days are published by Nick Hern Books, and are available to buy on this site at a 25% discount. To see all other NHB titles currently being performed at the Edinburgh Fringe Festival, as well as across the rest of the UK, visit our On Stage Now page. Louise Dearman (Wicked, Guys and Dolls, Evita) and Mark Evans (The Book of Mormon, Ghost, Oklahoma! ), two of the biggest musical-theatre stars working today, are asking for their fans’ help to write a new book, The Secrets of Stage Success. The book, a guide for those who want to follow in Louise and Mark’s footsteps and develop their own careers as performers, will answer questions submitted by the public on a wide range of theatre topics. It will be published by leading theatre publisher Nick Hern Books in 2014. Questions can be submitted via a dedicated website, www.secretsofstagesuccess.com, until 14 October 2013. They can be about any stage-related topic – whether it’s applying to drama school, nailing auditions, how to overcome stage fright, a specific highlight of Louise and Mark’s careers, or something else entirely. All questions included in the final book will be printed with the asker’s name. Everyone who submits a question will be entered into a draw to win exciting prizes, including tickets to see Louise and Mark live on stage, and will also receive a special thank-you letter from the authors. For more information about the authors, the book, or how to submit a question, visit www.secretsofstagesuccess.com.